Anastasia Semenova is an associate in Gowling WLG's Ottawa office, practising primarily in defamation and media law, privacy and access to information law, and international trade law. In the areas of privacy and information management, Anastasia advises clients on all aspects of data management and access to information/freedom of information. Her experience includes working as a team member in conducting Privacy Impact Assessments (PIAs) for clients and in drafting privacy compliance programs and policies, advising on privacy compliance issues, including dealing with complaints before the Privacy Commissioner of Canada and the Ontario Information and Privacy Commissioner, and assisting companies in responding to privacy breach incidents. Anastasia also assists clients with protecting confidential third party business information under Canada's Access to Information Act and provincial freedom of information legislation. 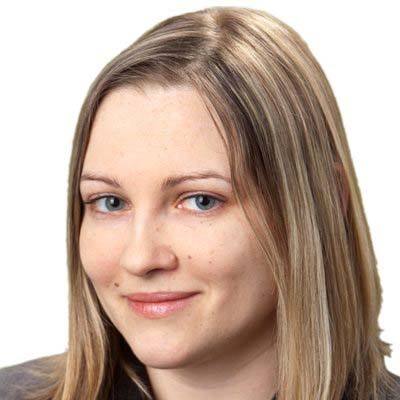 Anastasia is a co-editor of the Gowling WLG Privacy Newsletter. In her media and defamation practice, Anastasia litigates defamation law suits in the Ontario courts and represents the media in Canadian Charter of Rights and Freedoms freedom of the press cases to oppose publication bans and other restraints on access to the courts. In her international trade law practice, Anastasia advises clients in matters involving all aspects of customs compliance (tariff classification, origin, valuation, and Administrative Monetary Penalty System [AMPS] penalties). Anastasia regularly volunteers with Pro Bono Law Ontario (PBLO), a non-profit charitable organization that provides free legal services through Law Help Ontario, as well as the University of Ottawa Refugee Sponsorship Support Program (SSP). Anastasia also mentors law students through the American Society of International Law (ASIL) Women in International Law Mentoring Program (WILMP) and the University of Ottawa Women's Legal Mentorship Program (WLMP). Anastasia sits on the Board of Directors of the Ottawa chapter of the Organization of Women in International Trade (OWIT), a non-profit professional organization designed to promote women doing business in international trade by providing networking and educational opportunities. Anastasia is fluent in English, French and Russian, and has working knowledge of Spanish and Ukrainian.